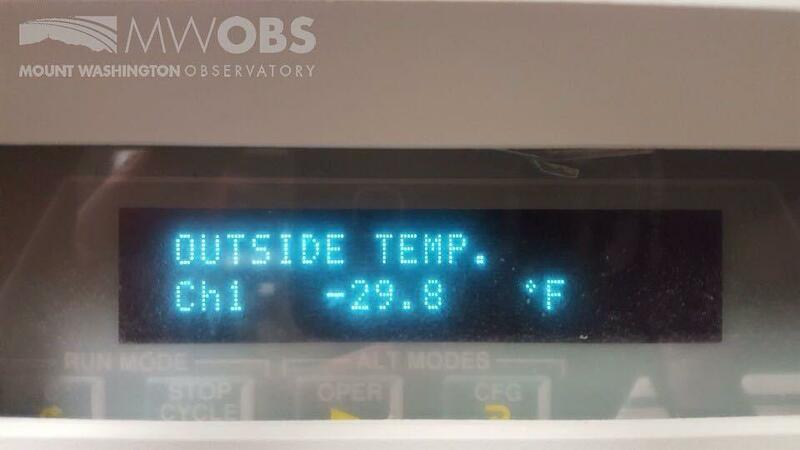 The temperature reading at the Mount Washington Observatory around 1:30 a.m., while frigid, was not the coldest the summit would see Thursday. The mountain’s 6,288-foot summit, known for its brutal and fast-changing winter weather, hit a low of minus 34 degrees early Thursday morning, Mount Washington Observatory meteorologist Tom Padham said. And with winds gusting at more than 110 miles per hour at times between 3 a.m. and 5 a.m. Thursday, he said wind chills on the summit reached minus 89. The early-morning mark of minus 34 degrees broke the observatory’s Dec. 28 record low temperature of minus 31 degrees, set in 1933. 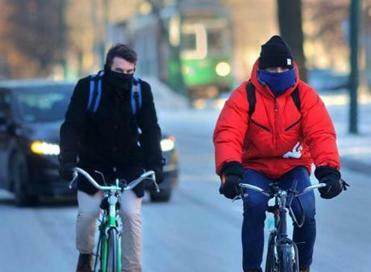 Shortly before 10 a.m. Thursday, Padham said wind speeds had slowed to around 90 miles per hour, with a wind chill of minus 85 degrees. Before Thursday, the lowest high temperature recorded on Dec. 28 in Boston, in 1924, was 18 degrees. The cold weather was also able to creep inside the summit observatory Thursday morning, with temperatures hovering around 52 degrees. “Our heater’s having a tough time keeping up with the conditions outside,” Padham said. Padham said the mountain’s weather observers are soon in for a bit of relief though. Forecasters expect the cold air mass hovering around Mount Washington to be pushed down to nearby valleys Thursday night, “warming” the summit to around zero degrees. Ben Thompson can be reached at ben.thompson@globe.com.